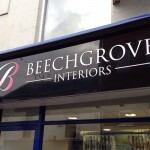 Mill Street in Ballymena is now home to Beechgrove Interiors. 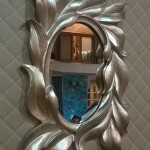 Beechgrove Interiors offer a complete interior design service. 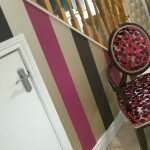 The business has been established keeping homes stylish for almost 30 years. 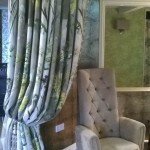 Beechgrove Interiors offer a full soft furnishing service including consultation, design, made-to-measure and fitting service for private and commercial premises as well as designer wallpaper to compliment. Its is a joy to offer a comprehensive range of fabrics and wallcoverings from Colefax & Fowler, Osborne & Little and Designers Guild, providing you with a fusion of classic style and contemporary design. 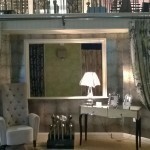 Beechgrove can provide a wide range of lamps and lights to suit every style, available from exclusive companies such as Brabin & Fitz, Porta Romana and also Heathfield & Co. We are proud to offer the highest quality soft furnishings from reputable manufacturers, including Artistic Upholstery, Orior and Pierre Frey. We love bringing your much loved pieces of furniture back to life and believe that a beautifully reupholstered piece of furniture can help to add character and warmth to your home, as well as helping you retain those special memories and treasured pieces in a newly designed room. Evening consultations available by appointment. If your home needs a refresh check out the soft furnishing, curtains and curtain poles which could transform your rooms or if you are starting from scratch get in touch with the Beechgrove Interiors team. Fins them in their new premises at Mill Street in Ballymena.